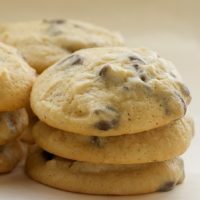 I wouldn’t try to guess how many kinds of chocolate chip cookies I’ve made over the years. It’s hard to grow tired of them, especially with all the different ways you can keep them interesting. Nuts, dried fruits, more nuts, maybe some oats. 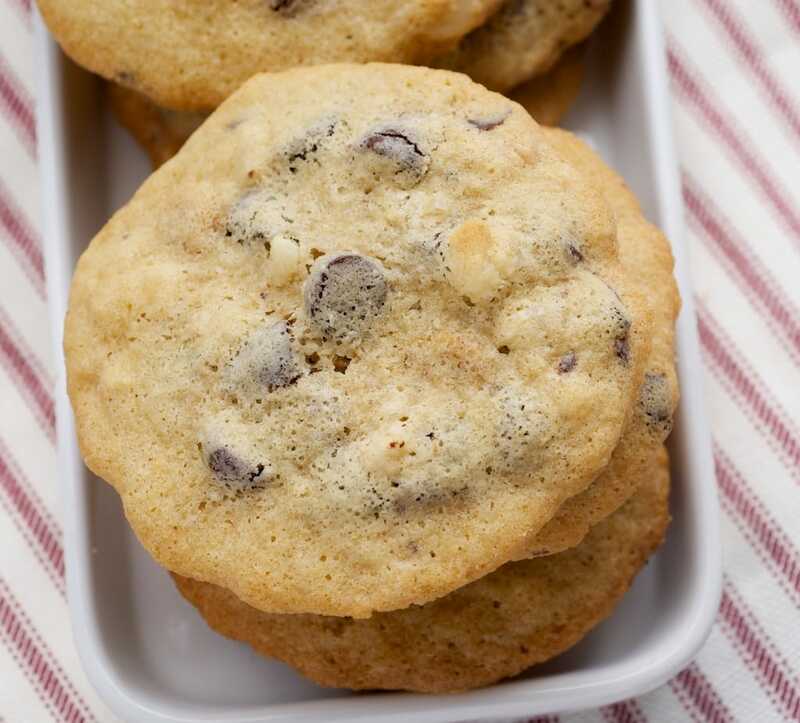 Or, in the case of this version, macadamia nuts and peanut butter chips. 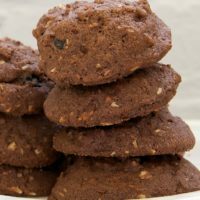 This recipe comes from one of my go-to cookie cookbooks, The Good Cookie. Its pages are heavily tabbed with cookies I’ve tried and ones yet to be baked. 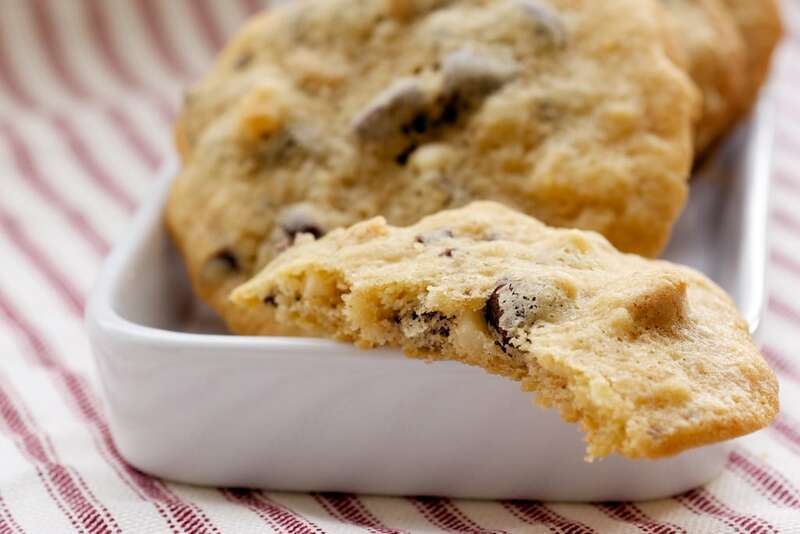 These cookies are the kind affectionately known as “kitchen sink” cookies. 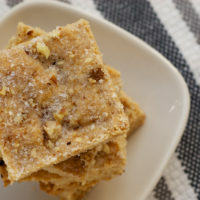 They are a good chance not only to purge the pantry, but also to try out flavor combinations. This kind of recipe is meant to be altered. You can change the add-ins to work with whatever you have on hand or whatever you are craving. No matter your choices, it’s hard to go wrong with these. Using an electric mixer on medium-high speed, beat butter until creamy (about 1 minute). Gradually add sugar and brown sugar, beating until light and fluffy (about 2 minutes). Add eggs, one at a time, beating well after each addition. Mix in vanilla extract. Reduce mixer speed to low. Add dry ingredients in three additions, mixing just until blended. Stir in chocolate, peanut butter chips, and macadamia nuts just until blended. Drop dough onto ungreased baking sheets, placing them 3 inches apart. * Bake 11-13 minutes, until edges are golden brown. Cool cookies on wire racks. 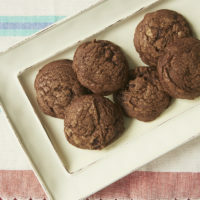 *The original recipe suggests scooping dough using a 1/4-cup cookie scoop, which yields 32 cookies. 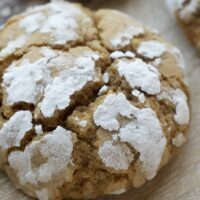 I used a 1 tablespoon scoop, which yields about 60 cookies. 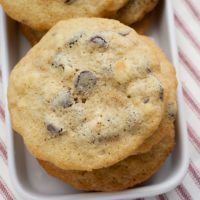 You may need to adjust baking time depending on the size of your cookies. these look pretty darn good. i was just in the mood to make a cookie. i think these will do just fine. thanks! Loving this flavor combination. These look absolutely wonderful. Those look great! 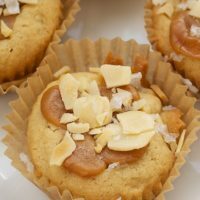 I just recently found out how much i like macadamia nuts, I’ll have to experiment! These are absolutely delicious! Thank you for the write-up on them. I made the dough yesterday, but cut the recipe in half since I plan on sharing them with just one other person. I made a tiny alternations: since I halved the recipe, I used 4 tablespoons regular butter and 4 tablespoons Earth Balance coconut butter (which is astonishingly tasty). The baking result: outstanding, very subtle flavor. I also used about 1/8 teaspoon of vanilla bean because I didn’t have any vanilla extract.